We can all be heroes. 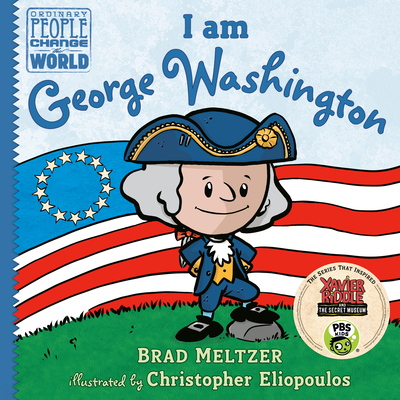 That’s the inspiring message of this New York Times Bestselling picture book biography series from historian and author Brad Meltzer. Learn all about George Washington, America’s first president. George Washington was one of the greatest leaders the world has ever known. He was never afraid to be the first to try something, from exploring the woods around his childhood home to founding a brand new nation, the United States of America. With his faith in the American people and tremendous bravery, he helped win the Revolutionary War and became the country’s first president. Each picture book in this series is a biography of a significant historical figure, told in a simple, conversational, vivacious way, and always focusing on a character trait that makes the person a role model for kids. The heroes are depicted as children throughout, telling their life stories in first-person present tense, which keeps the books playful and accessible to young children. And each book ends with a line of encouragement, a direct quote, photos, a timeline, and a source list.